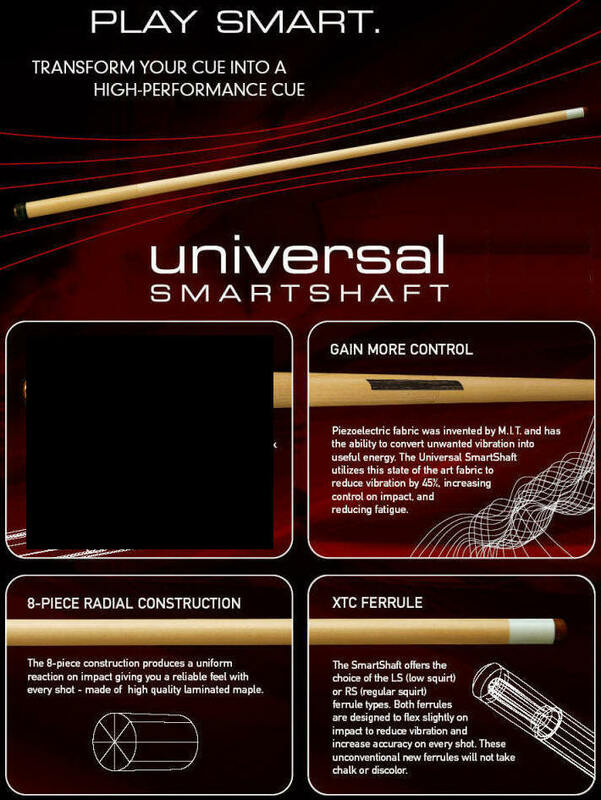 All Universal Billiard Pool Cues feature the new Universal Smart Shaft. This pool cue comes with free ground shipping. Faster shipping is available at additional cost. Free shipping in the US Only.